Pros - Beautiful, healthy spiders. Excellent communication, perfect packing and shipped when stated. My slings were very healthy, and actually larger than expected. They were packed perfectly, and shipped when stated to arrive on designated day. Communication was excellent throughout entire transaction, and afterward! Can't ask for better! Pros - Great guy, talks to you if things go wrong and makes sure everything's alright! 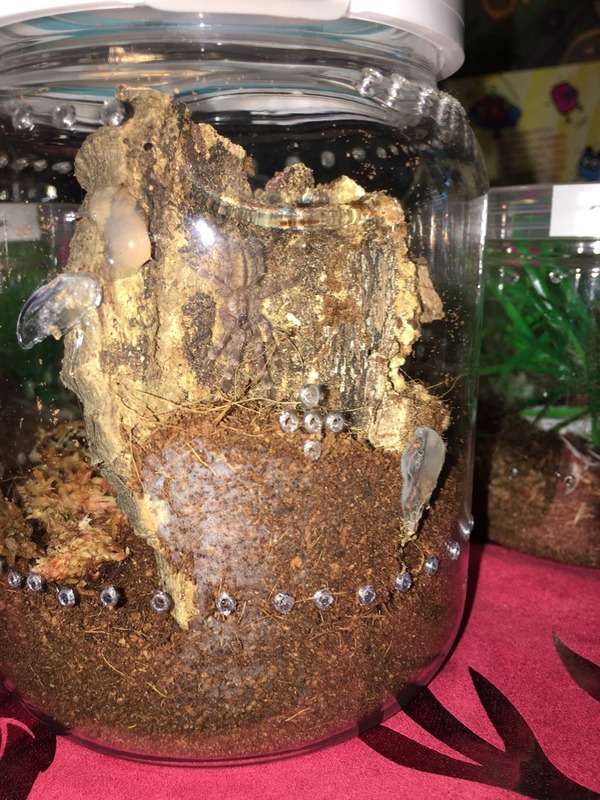 I ordered from Dennis on monday 5 N. Chromatus and 1 B. Vagans. Great deal I just couldn't pass it up, The USPS lost our package and Dennis talked with me and I kept him posted until they got here (all safe with great packaging). Absolutely no complaints. Purchased 50 N. chromatus slings. Got back to me within the hour and managed to ship them in the same day. All the slings were healthy and he even threw in a couple freebies. Friendly and gave great advice! I had a great experience working with Cold Blood! Was able to meet him at his house and really enjoyed seeing his awesome collection! He keeps a tight ship and really cares for his T's! I will definitely be staying in touch and will, I'm sure, buy from him again! I got a P. Regalis and two N. Chromatus. Dennis is really a fantastic dealer. He's a fun guy to talk to, has great prices, is very knowledgeable, and was willing to work around my schedule for shipping. I would definitely recommend him, and will be buying from him again in the future. Pros - Very easy to talk to, always willing to share information, great animals at good prices....even showed me his spider room. Live about 45min from CB...met him at his house one afternoon. Very informative and has great spider collection. Could talked all day long with Dennis, lol. Buy from him anytime!!! Always there to help if you need husbandry info. I bought 12 N. chromatus slings from Dennis and I got 3 freebies. Fortunately, I was close enough to drive and pick up the slings. His T room is spectacular! As I stepped in the room, it was obvious that Dennis is genuinely dedicated to his T's without a doubt. I was offered to stay longer and see all of his T collection, but I didn't want to drive home half asleep in the middle of the night. I would definitely purchase from Dennis again in the future and take his offer to see ALL his T's . "Great spiders at a great price!" I bought a bunch of N. chromatus slings from cold blood. All arrived on time, and there were plenty of extras. Would buy again!